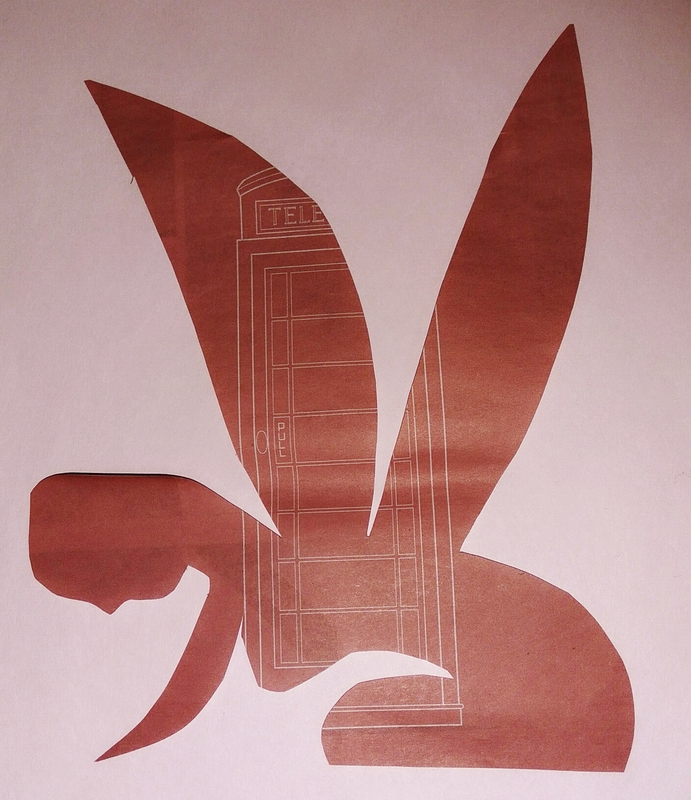 I selected a page from a newspaper and decided to cut the silhouette of a fairy using scissors, without drawing the shape beforehand and without stopping. It looks like a Henry Moore inspired piece with the simplistic shapes. She is hiding her arms in line with her body, with her hair falling over her shoulders.